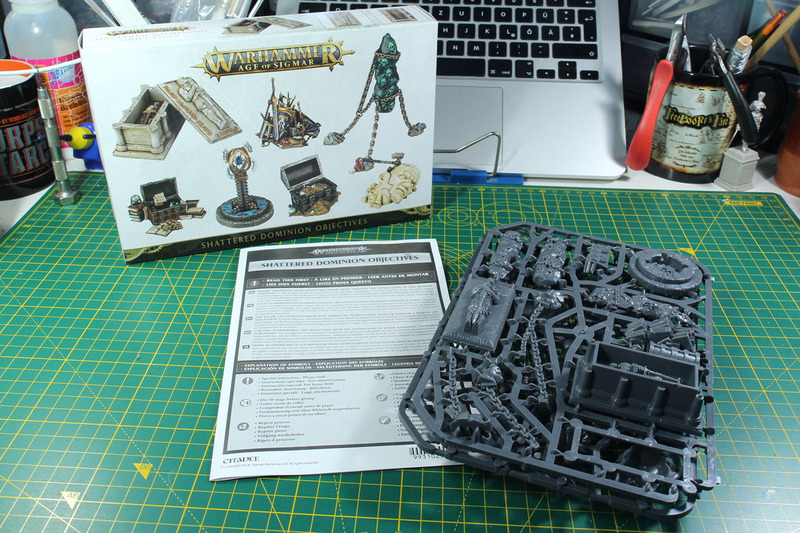 Usually Christmas or the turn of the year is the time for terrain with Games Workshop. 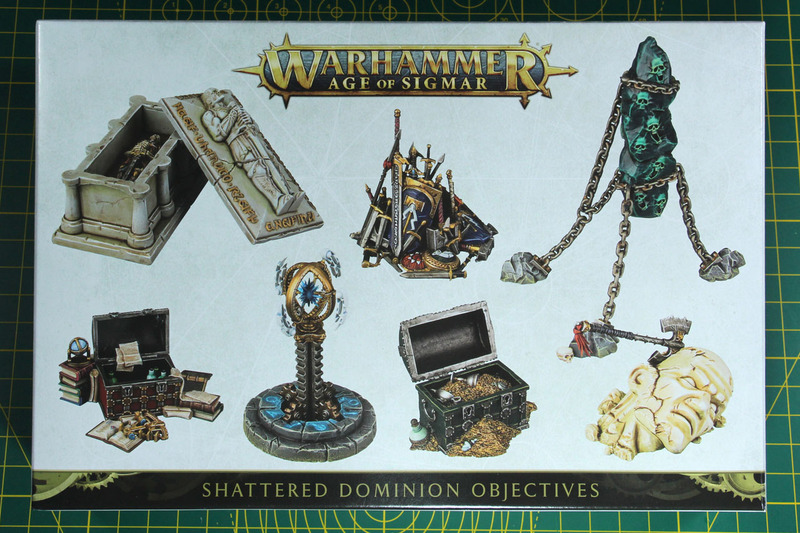 But with the new Age of Sigmar edition just released there is a new set of objective markers available, the Shattered Dominion Objectives. 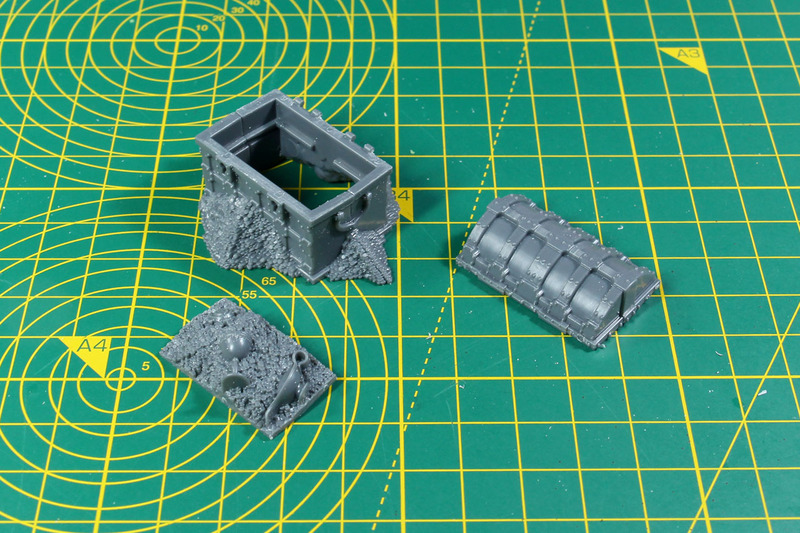 Of the new terrain sets, many have their own rules of how they affect the game play and benefit a certain faction (you remember the Shipwreck I covered earlier on this blog). Yes, this is technically terrain, but not really, they have names but no special rules (but hey, nobody is forcing you to not use your own house rules to change that). 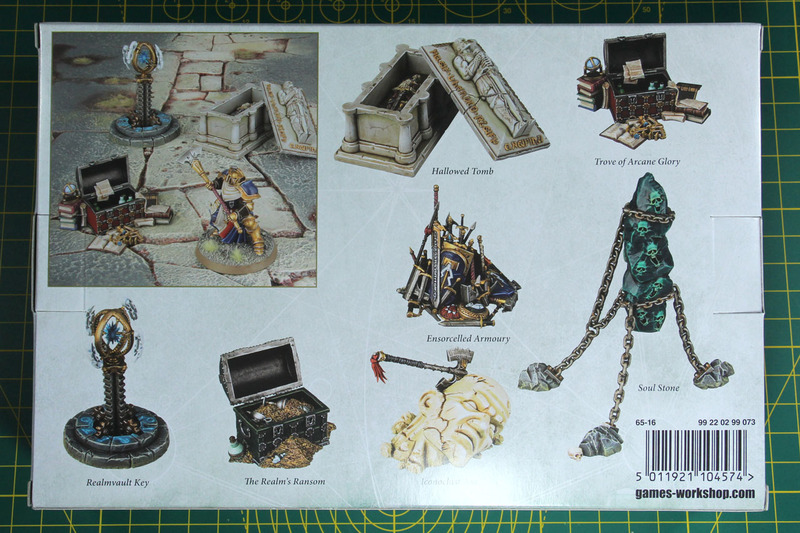 I am really interested in this - as it is a fantasy set - that will make good use with a broad variety of fantasy rules. So let's see in this review what is in the box. 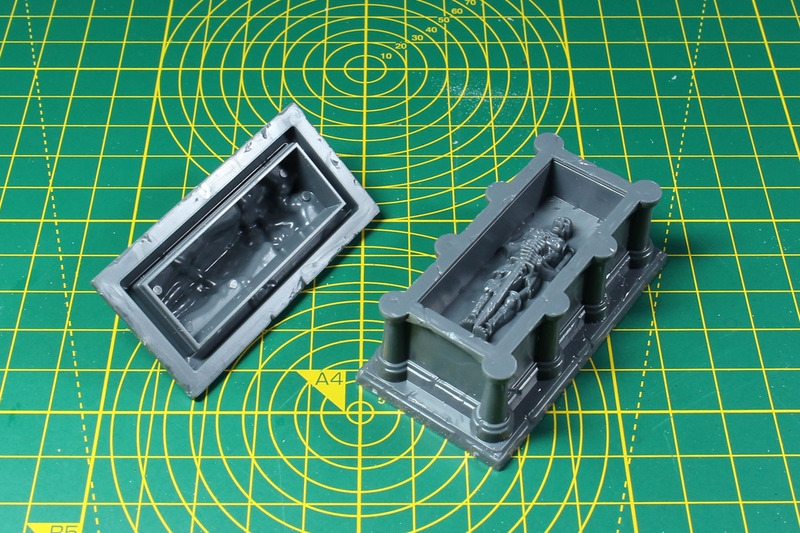 The Shattered Dominion Objectives is set at 25.00 EUR and comes with two hard plastic sprues. 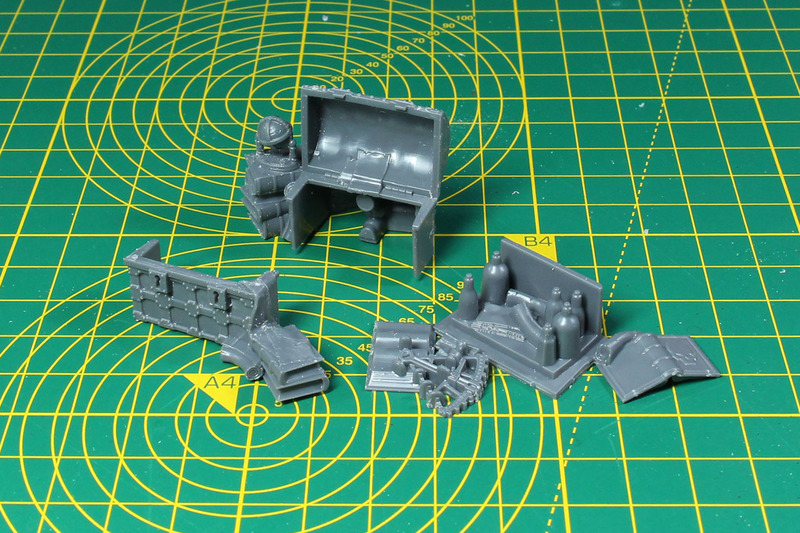 There is an instruction leaflet included that explains how the 7 items are assembled. 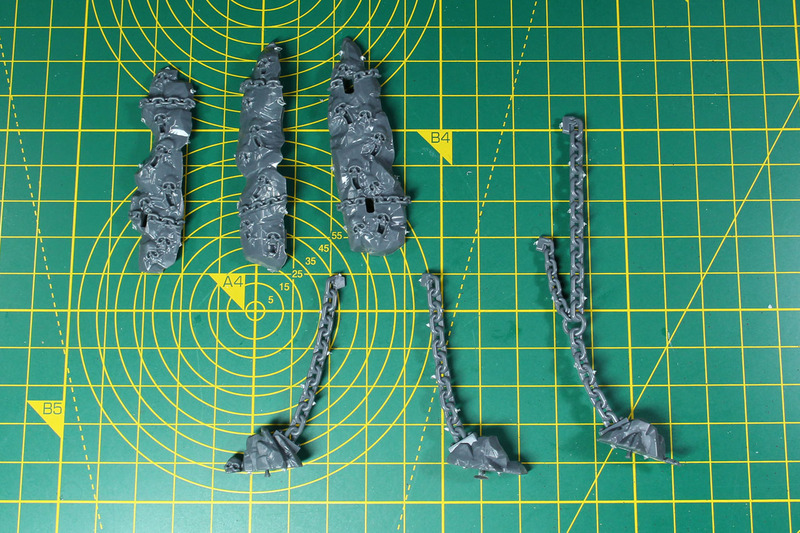 The parts are very dense packed into the two frames. 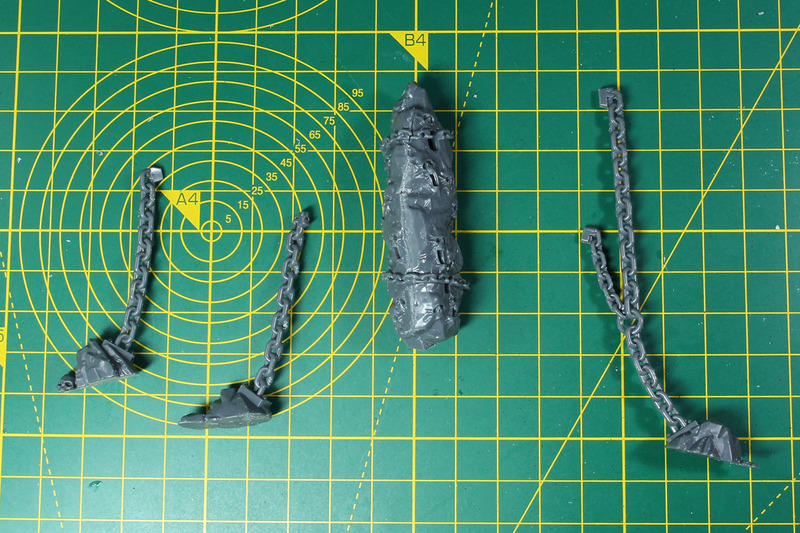 Casting is good with minor mould lines. 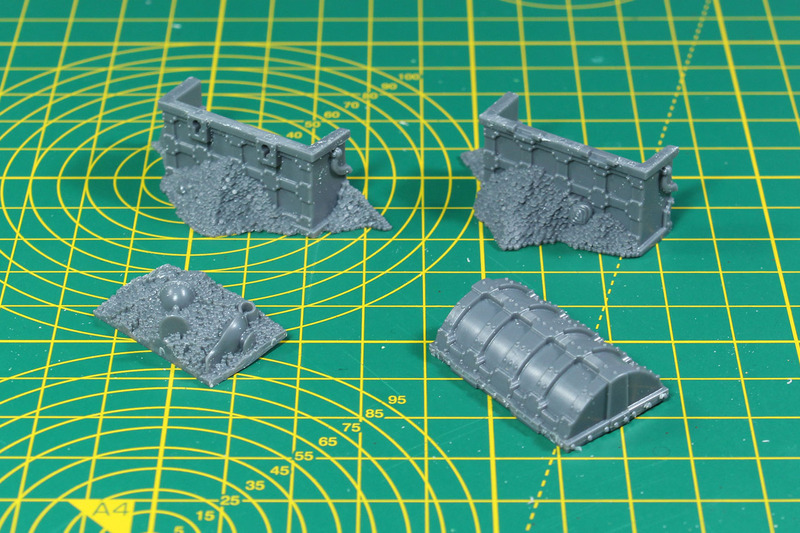 Details are not as sharp on some parts, as they had to work with the undercuts and "limited" space, but for terrain / objective markers absolutely fine. The only parts where you really have to be cautious are the little comets on the Realmvault Key. 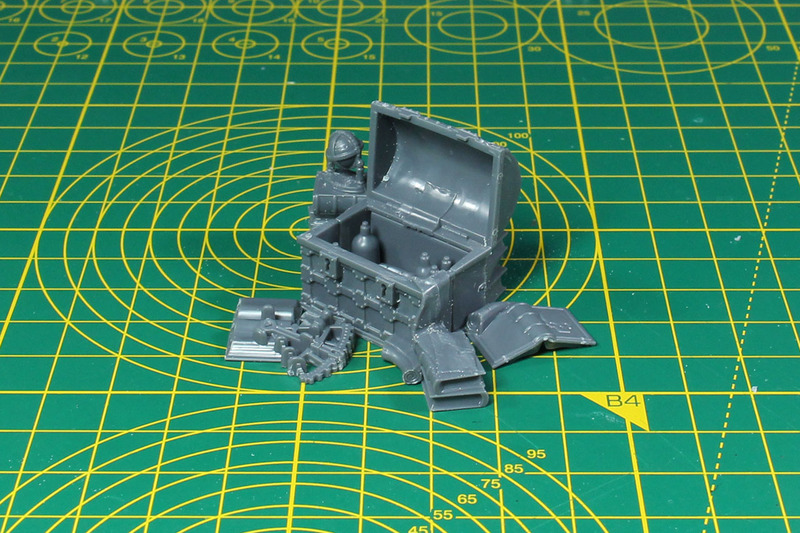 One of them broke off while cleaning parts from the sprue and you have a glue surface of roughly a square millimetre, so please take notice. The Realm's Ransom. 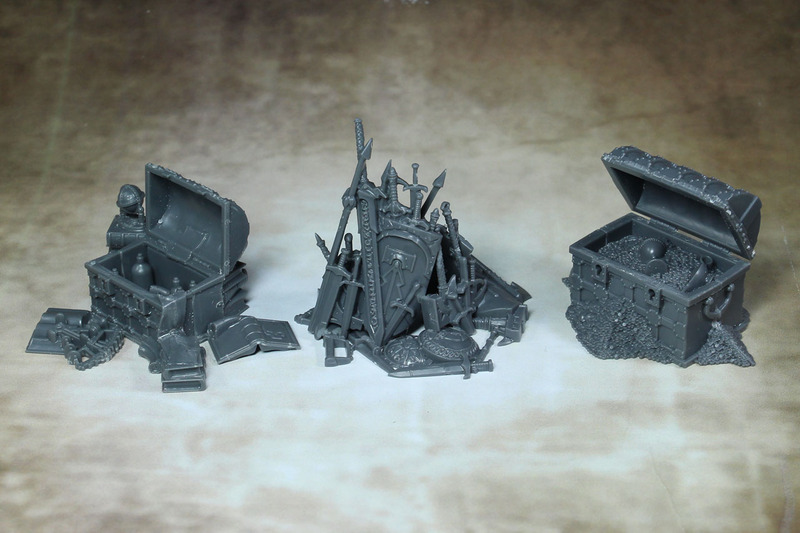 What kind of set of objectives would be complete without a treasure chest? 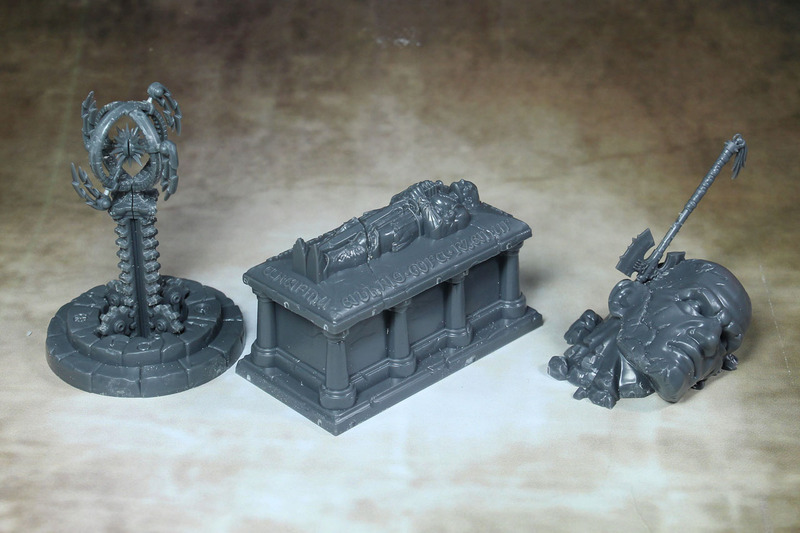 Right, and there are even two in this set, if you count in the Trove of Arcane Glory (further below) as well. RPG (and Fortnite) players will know about the dangers of mimic, just as a small suggestion for house rules ... 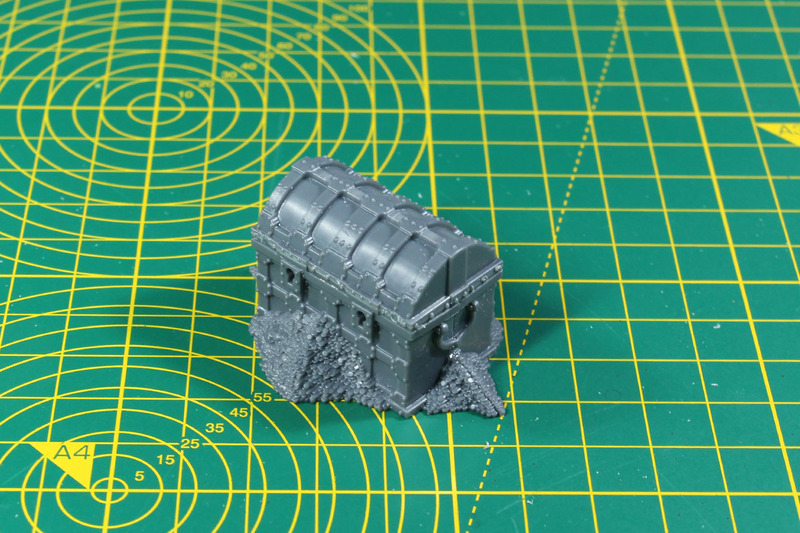 Assembly is quite easy, just make sure you don't glue the roof, as it sticks just by friction in the position you put it in. 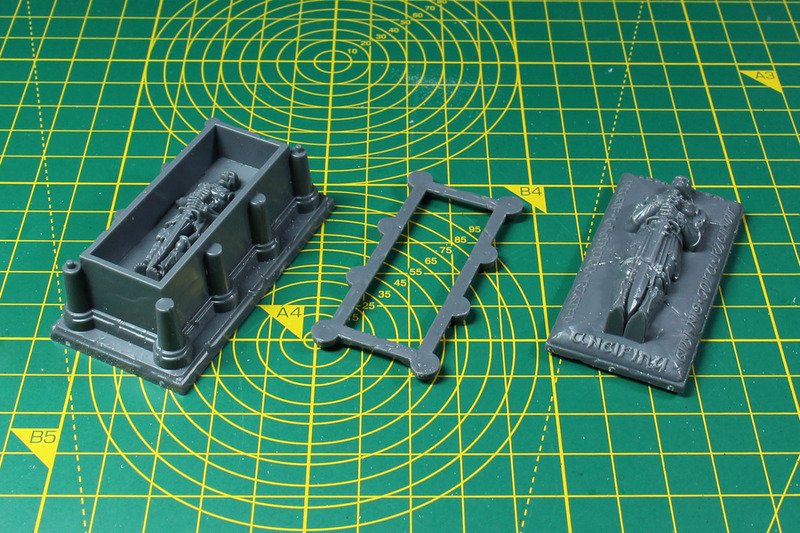 You could even not glue in the inner tray with the coins and make additional trays from plastic card to switch out the content if you want to. 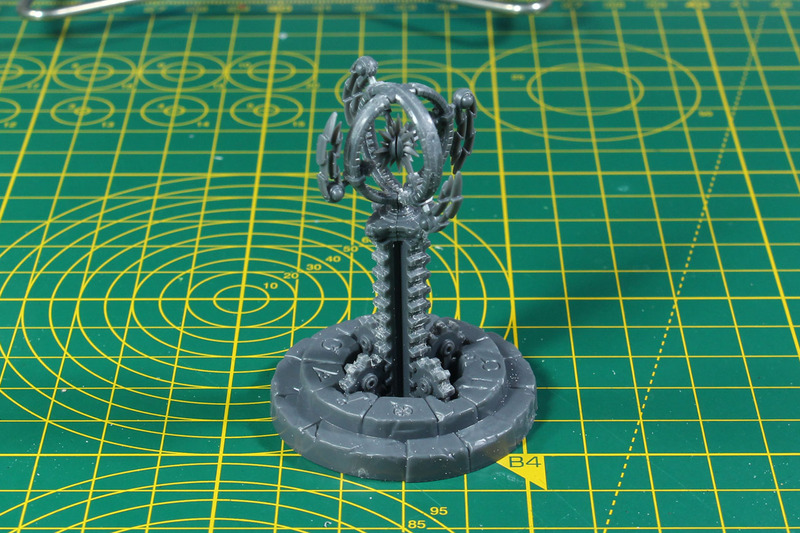 This is the Realmvault Key; it reminds me a bit of the initiative device from the old Dark World - Village of Fear board game. 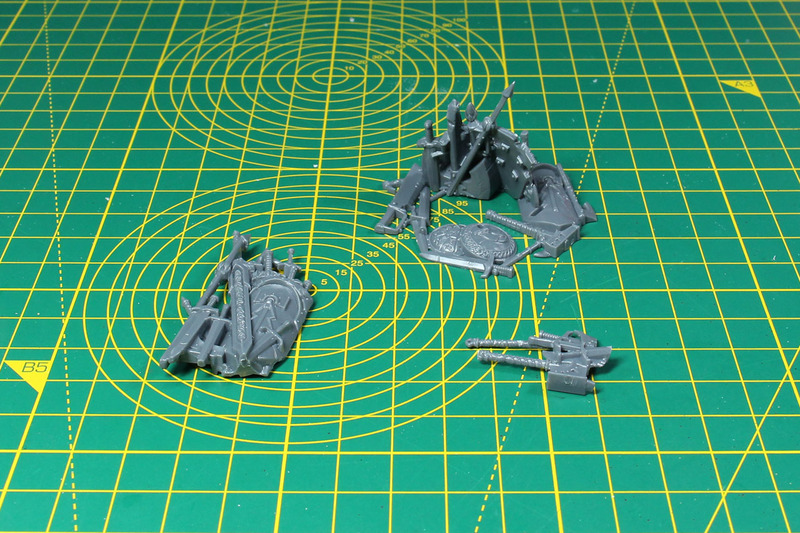 As mentioned above, be careful when you cut these parts from the sprue, as the small comets are only connected by a thin piece of plastic to the circular bands. I can see this as a Game of Throne styled globe in a technicus' workshop as well. A brief reference to King Arthur / Excalibur, the Iconoclast Axe, driven deep into the stone. 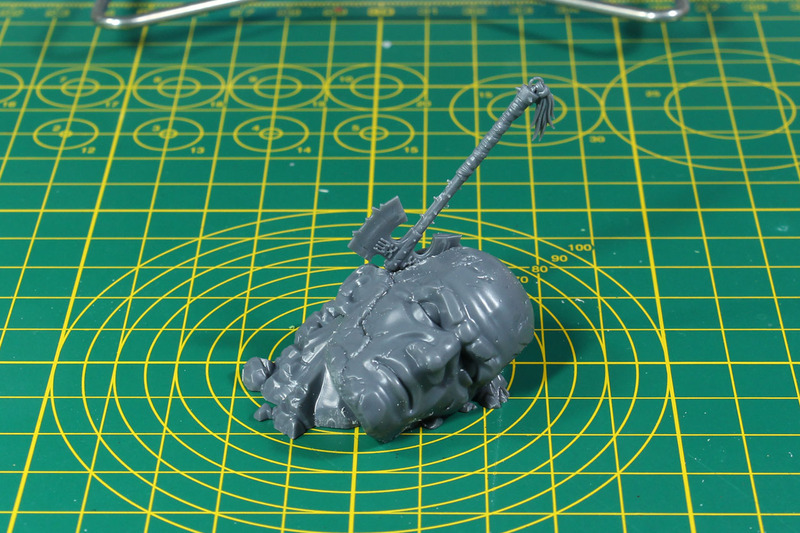 Maybe if the model in touch with this objective may take a strength test and if he succeeds, is able to retrieve the mighty axe from the stone and wield it in battle. I like the stoic face. 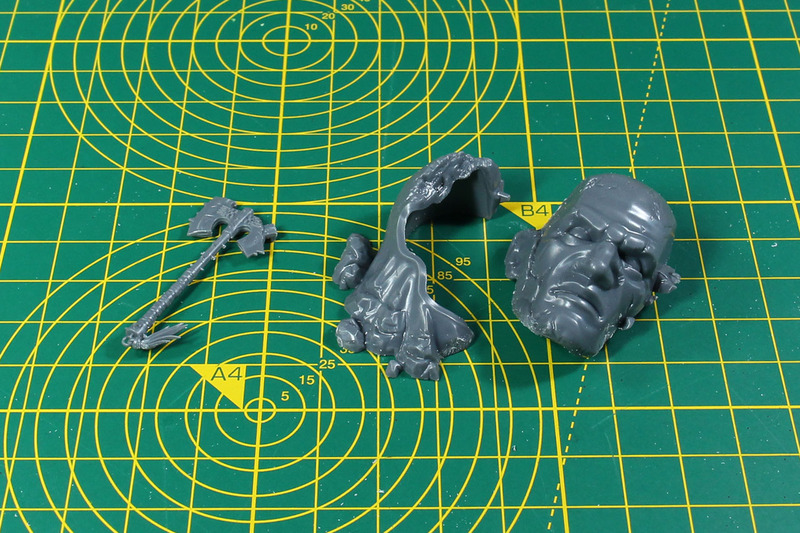 These supersized heads are something, that the polish resin forge Scibor works with quite for some time now and it has arrived in the mainstream plastic. 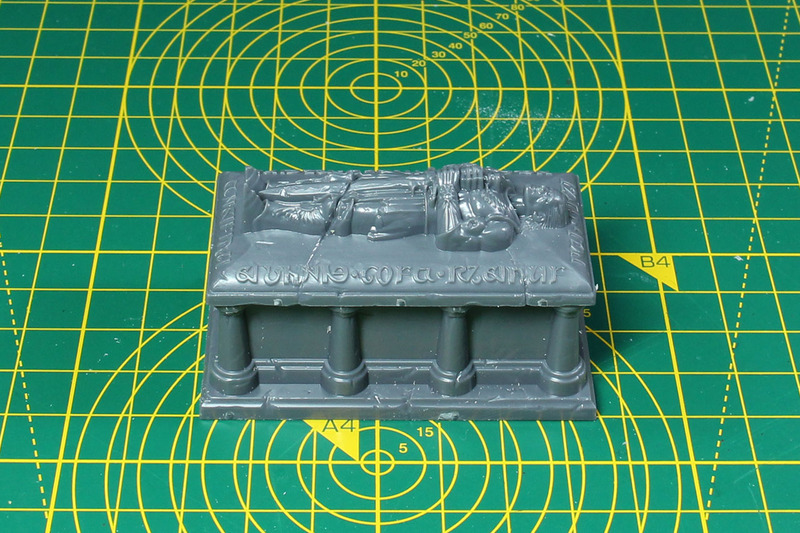 The Hallowed Tomb, another classic. 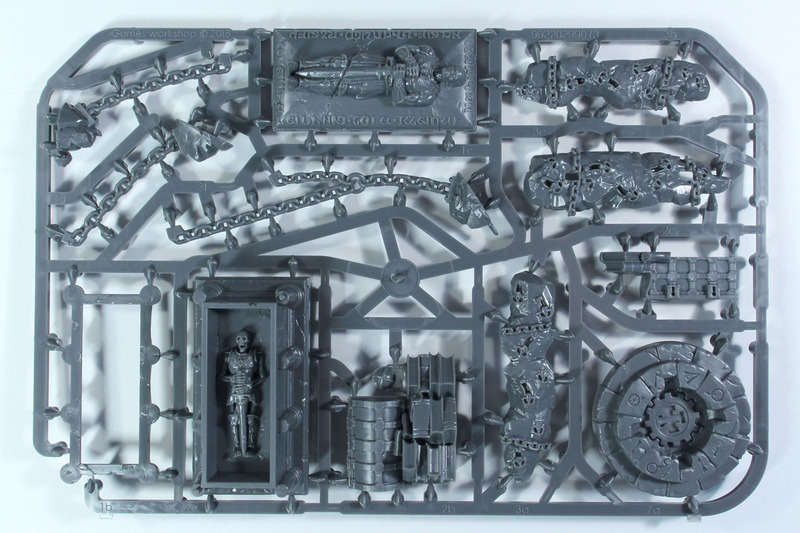 Especially if you're playing with / against an Undead army, great piece. The assembly is self explanatory. A second chest, the Trove of Arcane Glory. This time without coins and diamonds, but potions, flasks and books. Could be a great addition to a workshop or laboratory as well. 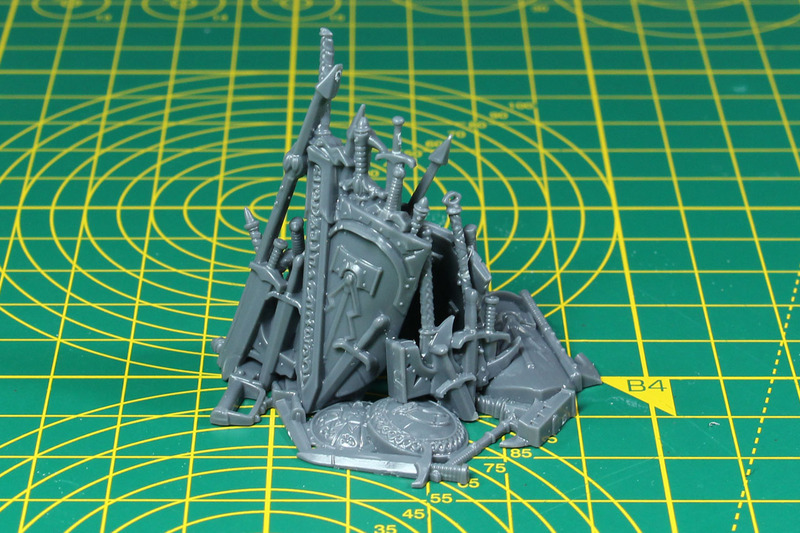 This pile of weapons, the Ensorcelled Armoury, is quite nice, as I can imagine this in a throne room or maybe a looted stash of an Orc or Beastman encampment. 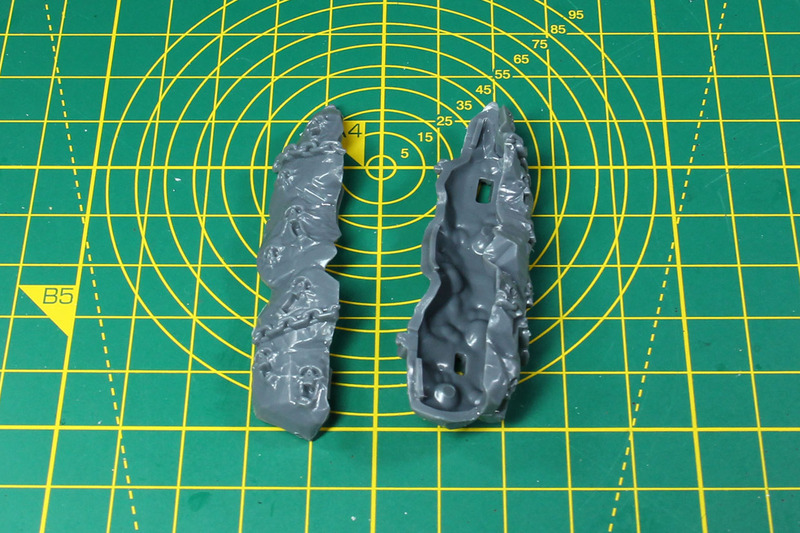 You might want to not glue them entirely prior to painting, to ensure you can reach all the parts. Probably the main piece of this set is the Soul Stone. 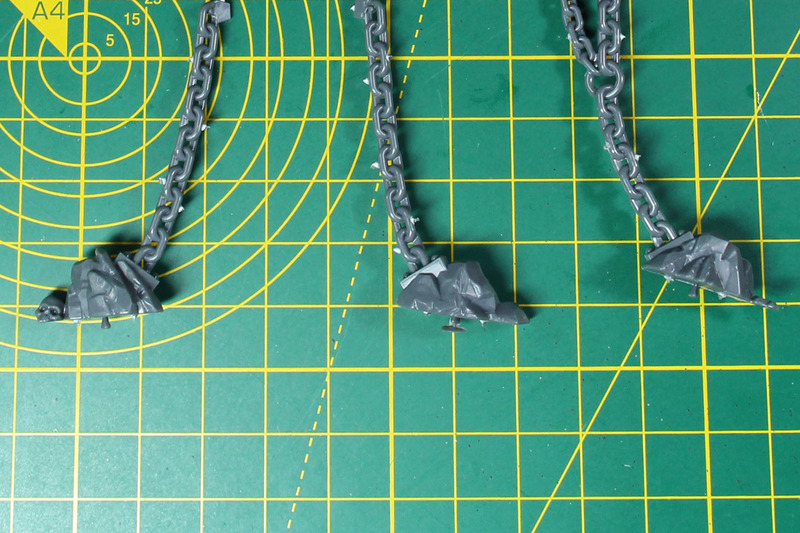 Nicely done with the engraved / possessed skulls in the stone, just the chains could be a bit sharper, as the single chain links are a bit blurry or rounded, so you might not achieve the results you're looking for just by applying wash, there's probably the need for some black lining in the recesses. 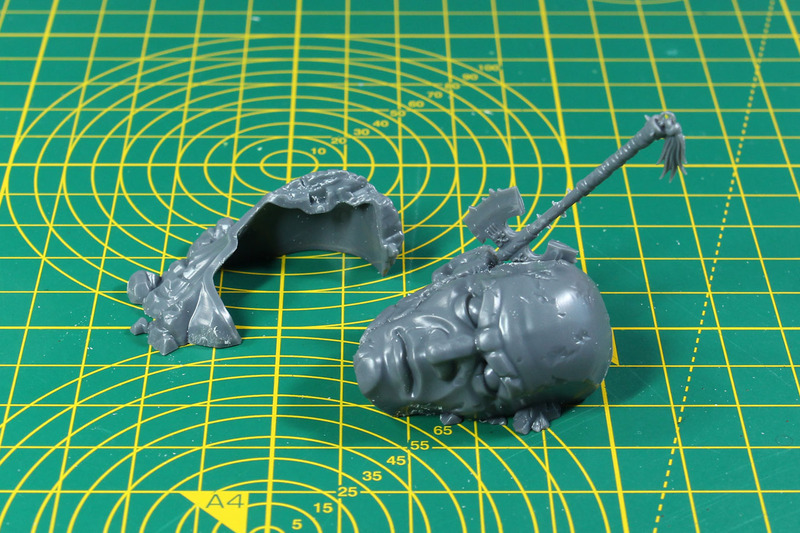 By cutting up the soul stone itself into three parts, they managed to handle the problems of undercuts quite well. 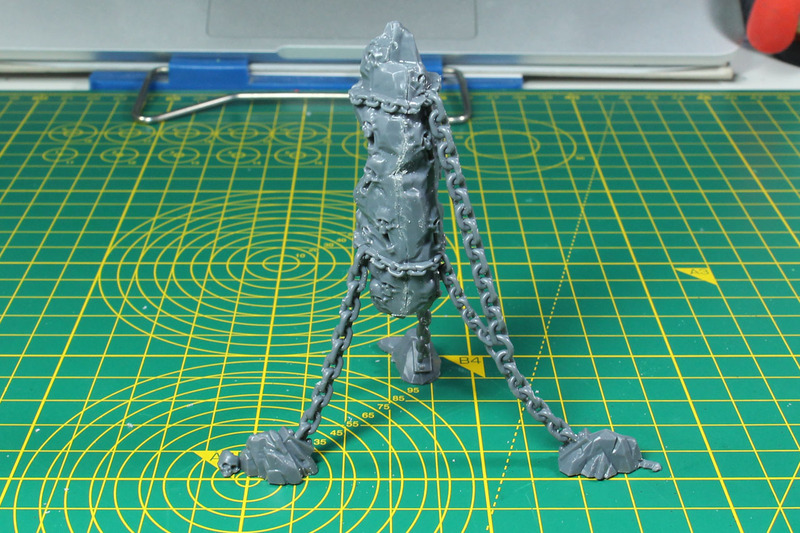 I would have positioned the chains to the angled sides of the pieces to cover up the less detailed sides, but that is just cherry picking. 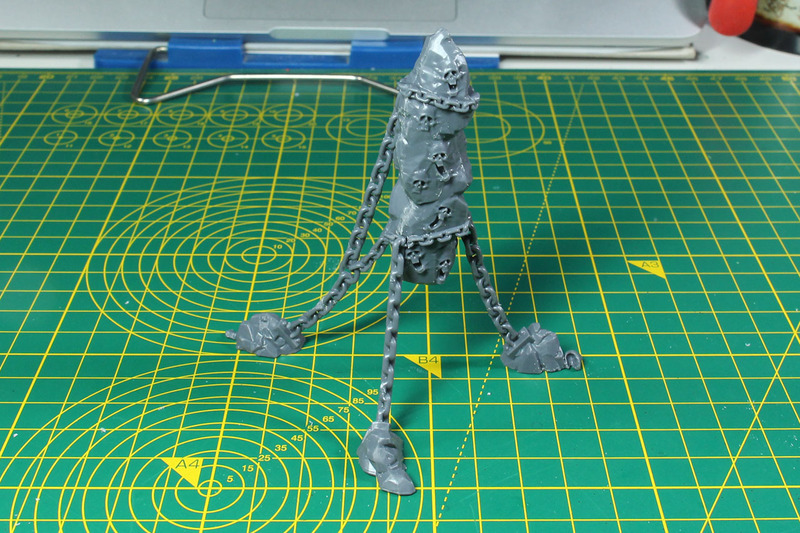 As for painting this, there are so many possibilities. You could paint it up like a huge shard, with a glossy finish, maybe in blue or black with hard highlights (think of the Soul stone in Diablo) or rock like with the faces in a green glow. 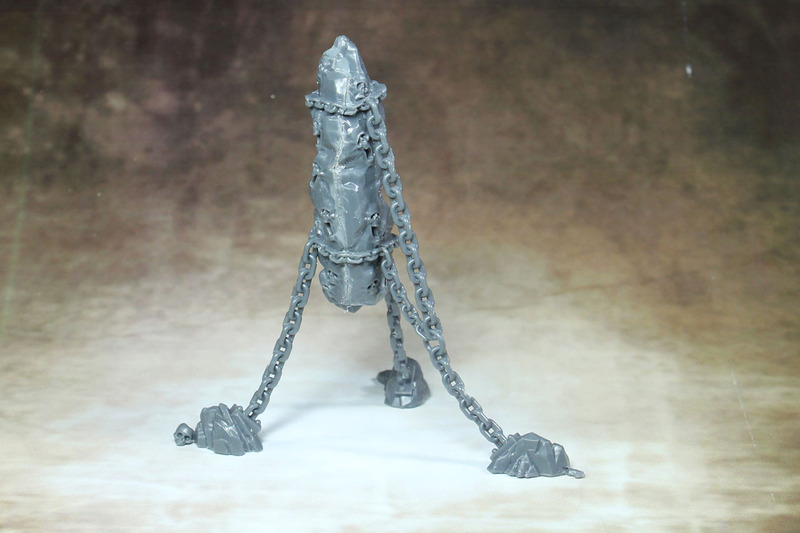 It has definitely many uses; some of you may remember the Herdstones of the old Beastman armies (in combination with the Ensorcelled Armoury for example) or even some Warhammer 40,000 scenarios, where Daemons or the Inquisition is involved. 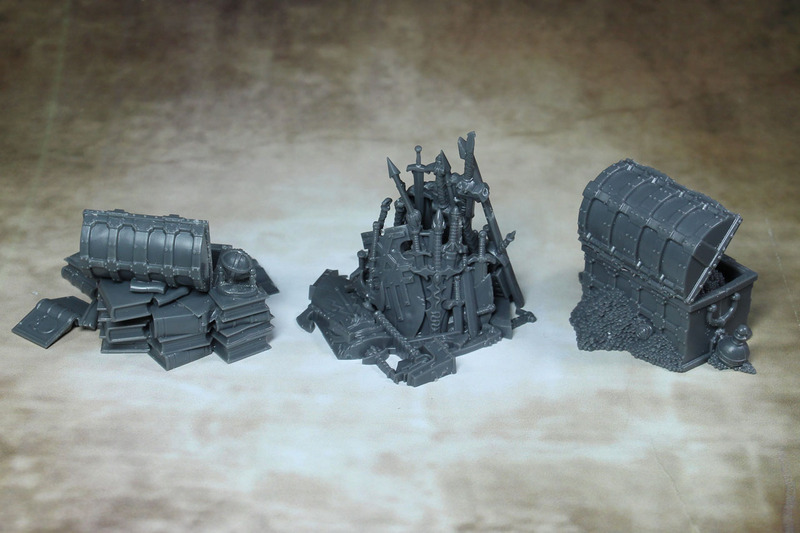 The whole set of objectives. Filling up quite some space on the board. You have to put these into proportion. 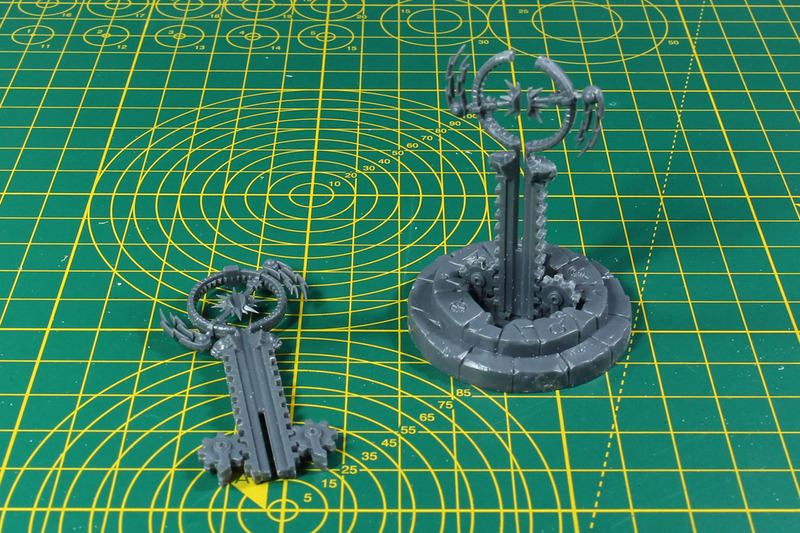 Just see how large these are next to a Stormcast Eternal. 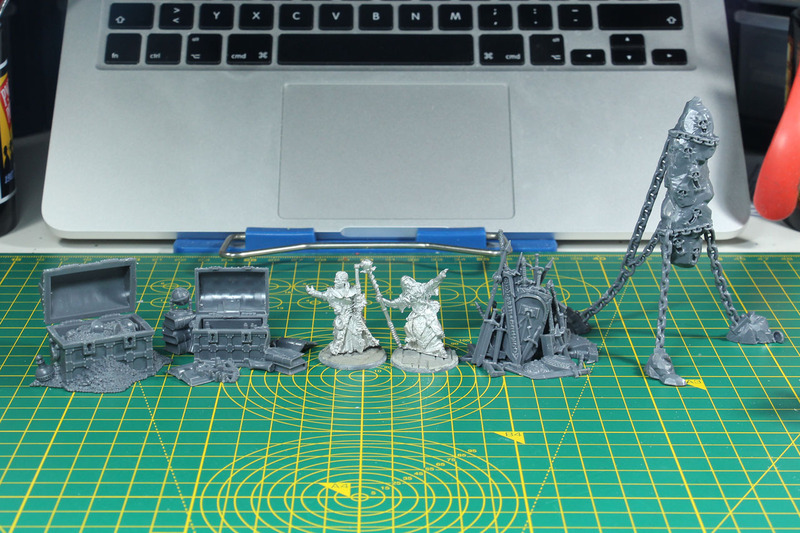 As mentioned above, these pieces make for great use beyond the Warhammer rules, so I put them next to some Frostgrave wizards, along with the loot or treasure markers by some other companies. 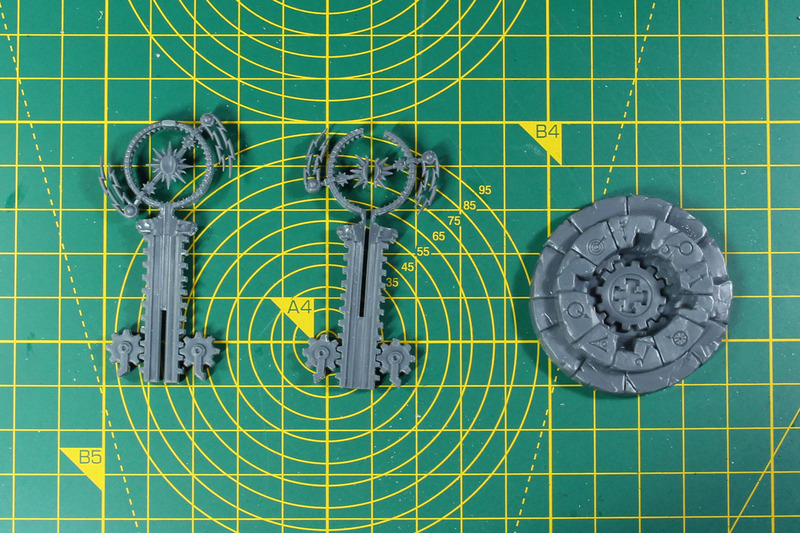 On very obvious use for them, is as objective markers or scenic upgrades for your Warhammer Underworlds Shadespire boards. 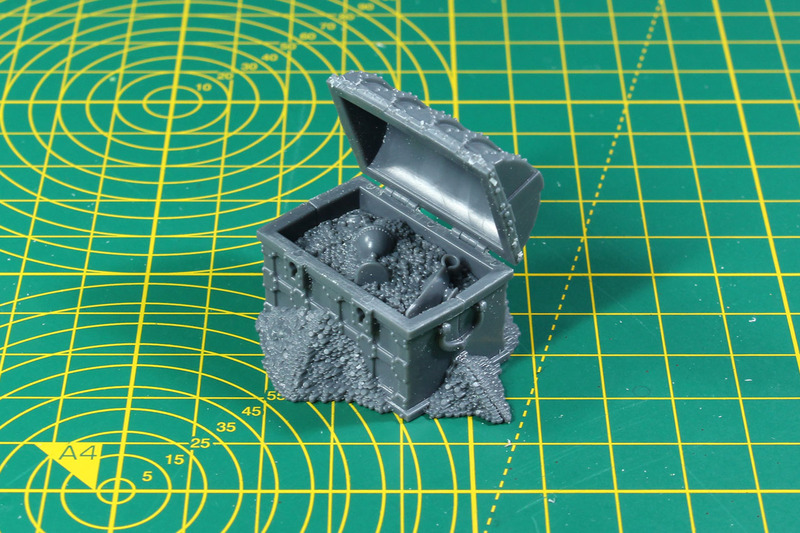 A different approach on Shadespire terrain pieces can be seen at Can you roll a crit?. 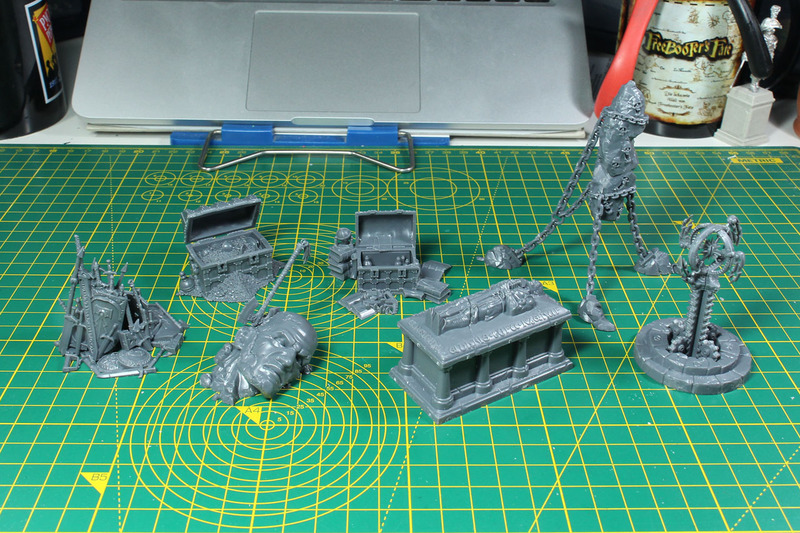 And as usual the concluding set of pictures of the assembled miniatures. 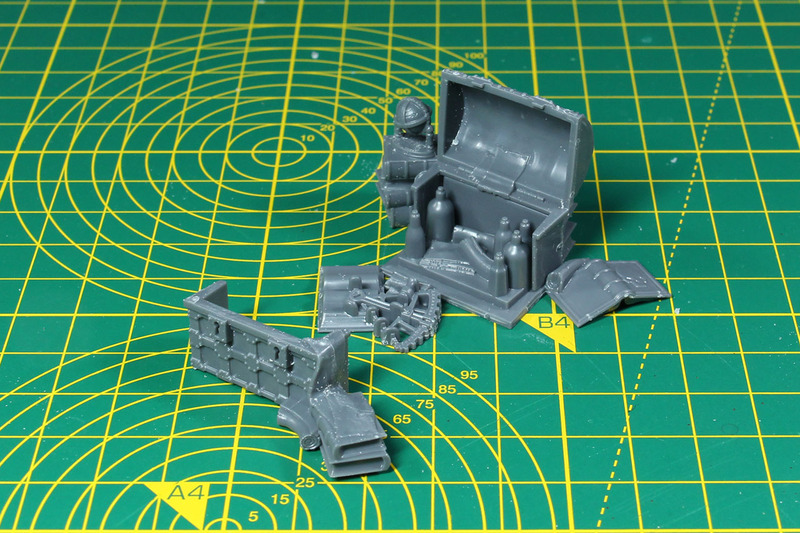 I was honestly surprised by the size of the individual items in this set. 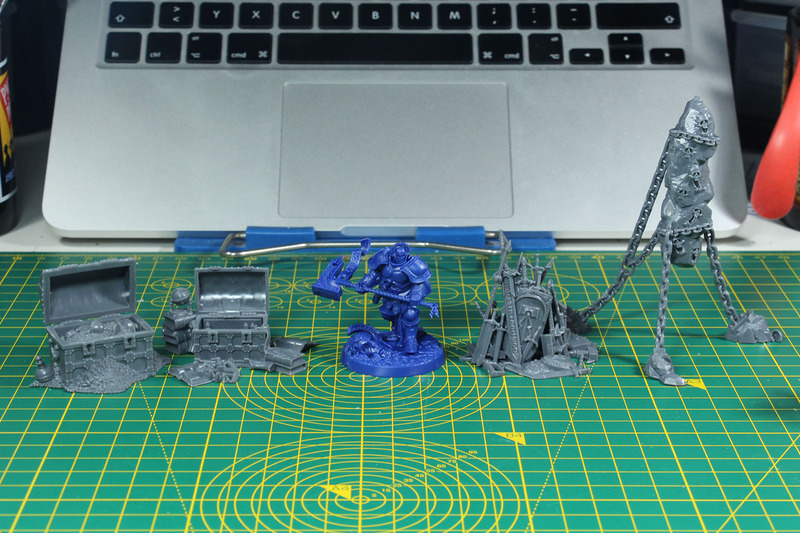 I'm aware that Warhammer / Age of Sigmar is heroic scale, but some of these items easily could be used with 40mm miniatures. 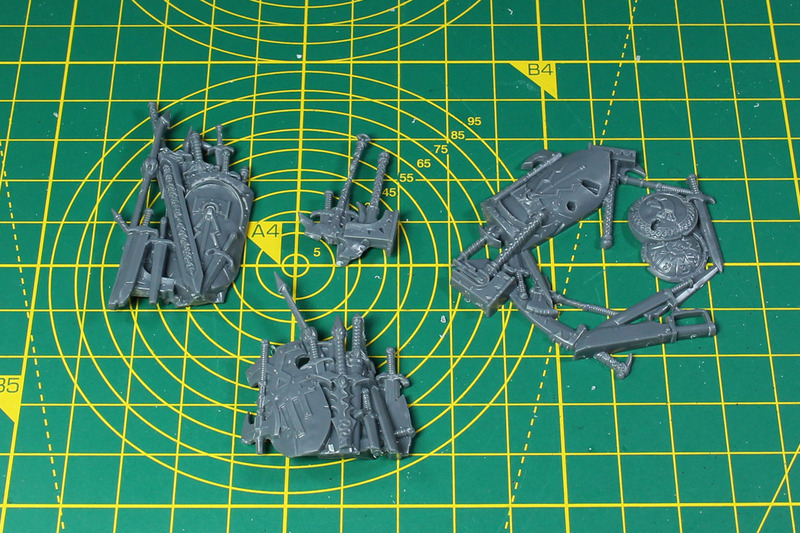 Beyond that, you get quite a lot for your money, 7 objectives for 25 EUR is a reasonable price. 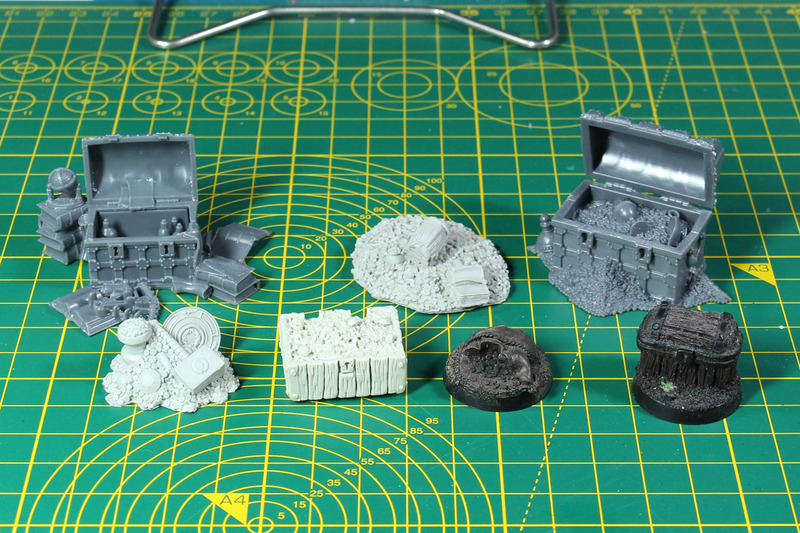 Other terrain sets, made from resin, are on a similar price level. 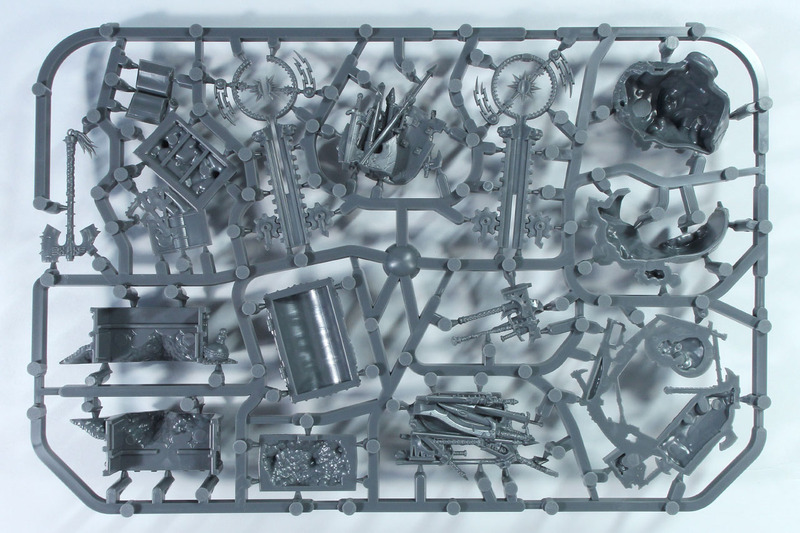 And we should not forget, for a set of Warhammer terrain it has an incredibly low amount of skulls on them, something that was criticized in the past on some of the terrain pieces. 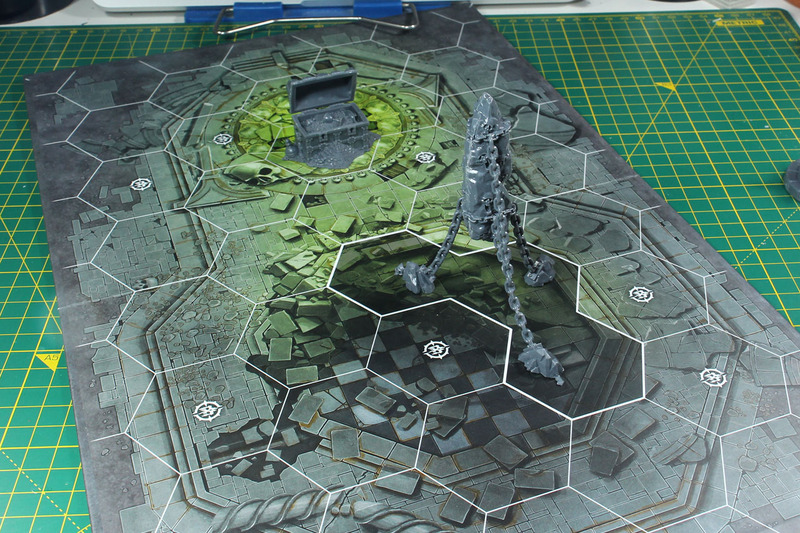 The Shattered Dominion Objectives are as the name explains, kept in a matching style to fit with the Realm of Battle board along with the base and base design kits of the same name. 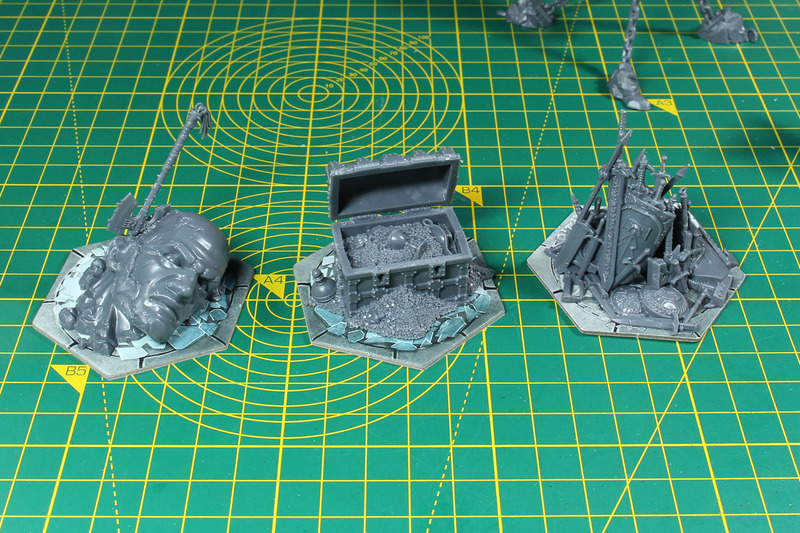 The design of the objectives is quite heroic and not to specific, so that you can use them for and with a broad variation of armies. 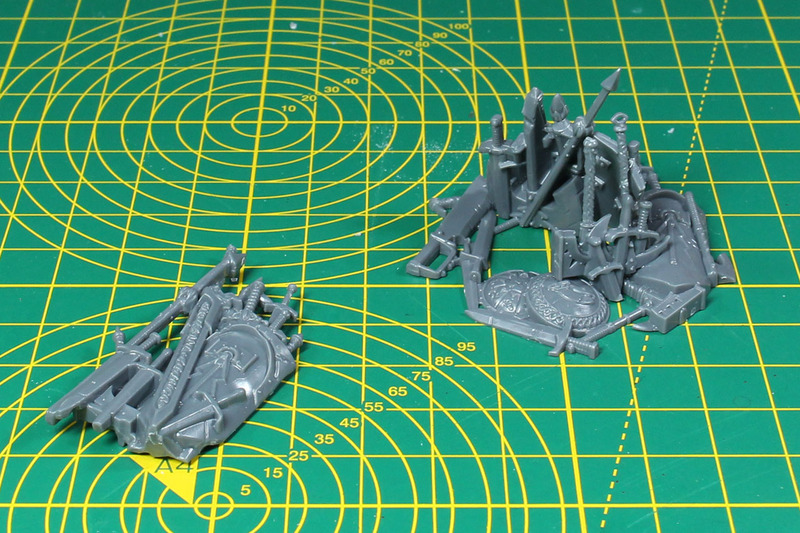 And even outside the world of Age of Sigmar / Warhammer. 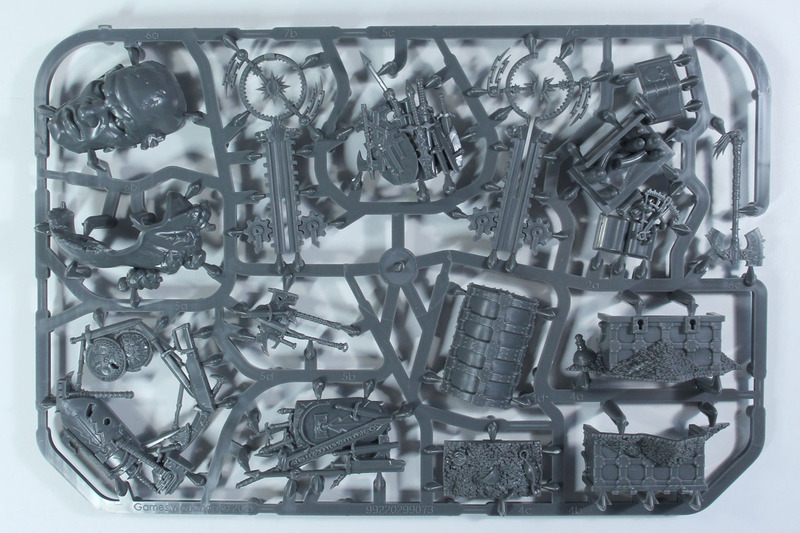 I can see these just with dungeon crawlers, fantasy skirmishers like Frostgrave or as a way to upgrade your board for Shadespire as shown above.